Come along and enjoy this special Arts Centre Christmas fundraiser, with entertainment being provided by the Castle Hill RSL Youth Wind Orchestra - on tour from Australia. Tickets can be purchased at the Rutherford’s Den shop or at the website. As part of their New Zealand tour, they will present a mixed programme that includes Christmas music – please check the Arts Centre website closer to the time for details. A paper programme will be available on the day, free-of-charge, for audience members. All proceeds will go to the restoration of the Arts Centre. 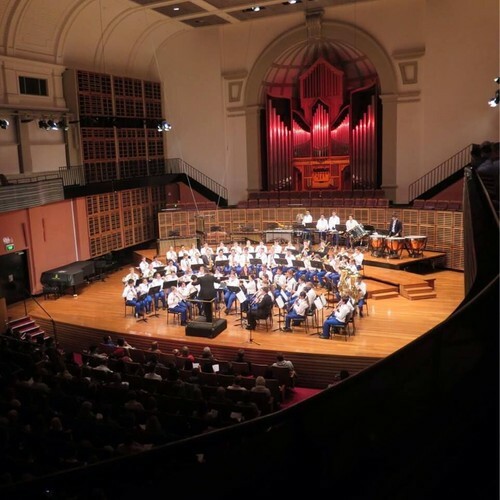 The 70-strong orchestra has a 20-year history and is regarded as one of Australia’s finest symphonic wind bands, with members ranging from 11 to 19 years of age. Under the musical direction of James Brice, the orchestra performs extensively in Sydney and competes regularly at national and state championship events. It has won 17 national and New South Wales state titles since 2003.